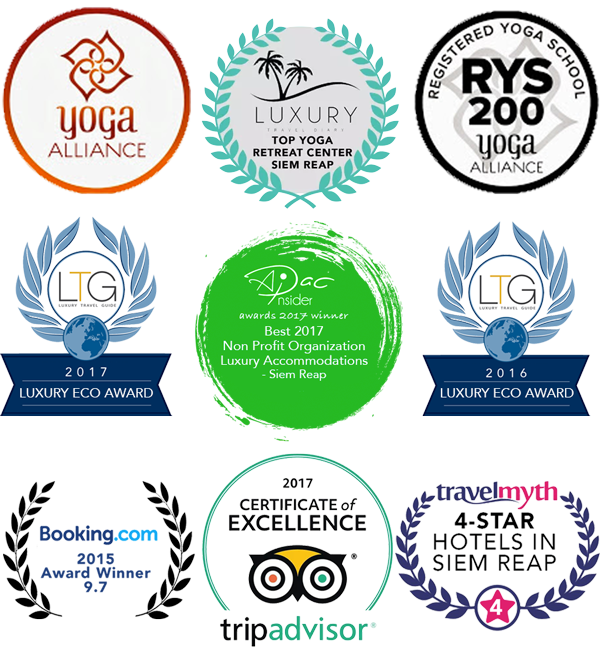 Voted #1 out of Top 10 Yoga Schools in the world by Luxury Travel Diary. 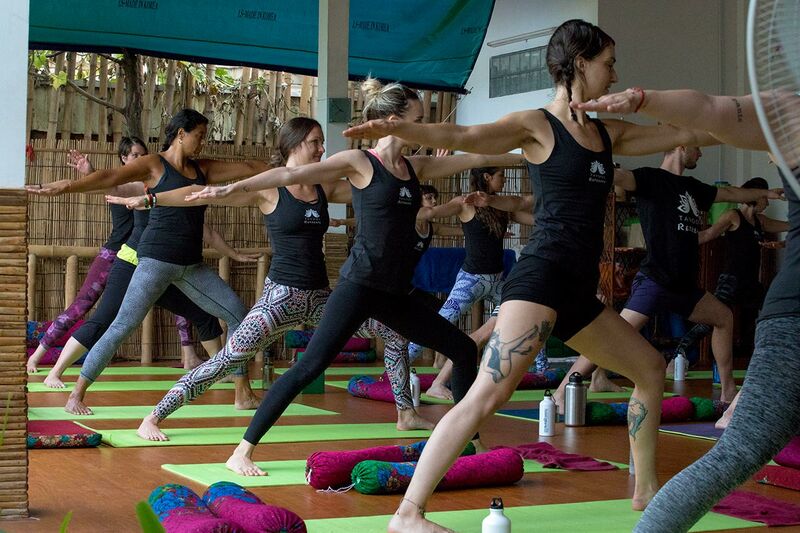 Tavoos is the first school to launch a Certified Yoga Alliance Teachers Training Program in Cambodia. We pride ourselves in being fully licensed and following international guidelines and regulations to make sure that our students graduate with the highest level of standards. Aside from being the only licensed school in Cambodia, we are also proud to be a non-profit social venture. Giving back to the local community. 100% of our profits go towards digging water wells for families around Siem Reap. 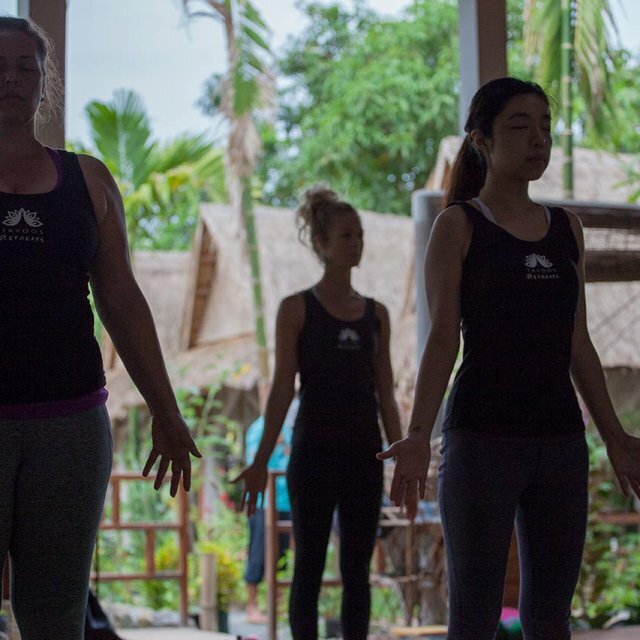 As well, we donate spots in our teacher training programs to Cambodian men and women who aspire to become Yoga teachers. After they graduate we offer them a paid job as a teacher. 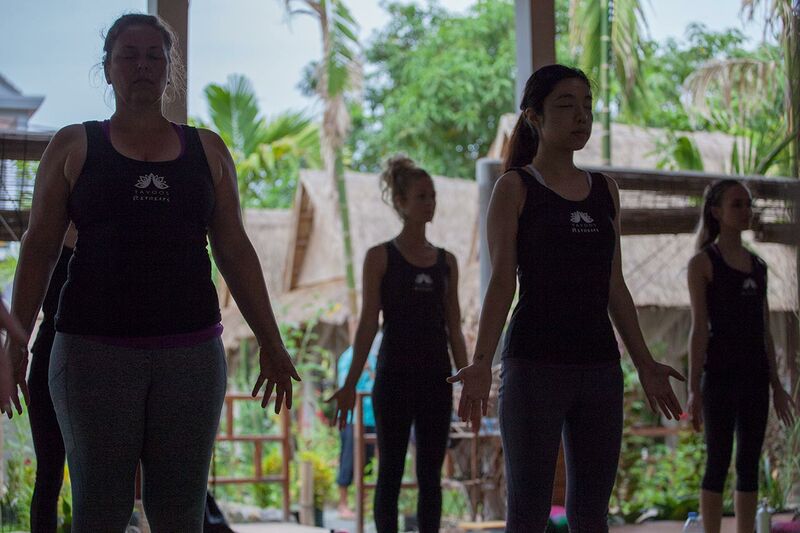 → Our teachers present their teachings in an open minded and modern way, yet deeply preserving the respect for the ancient tradition of Yoga. 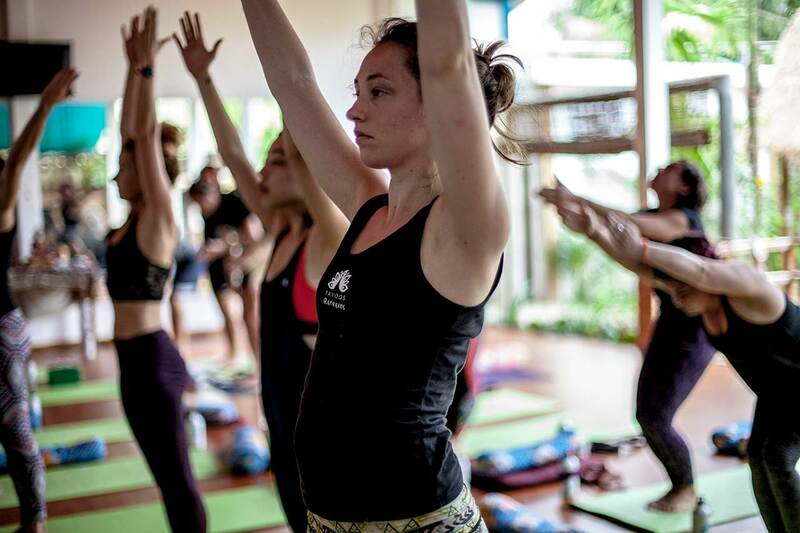 → Aside from learning how to teach yoga, we want to make sure you also learn about the value of your own mindfulness, stress reduction and the importance of giving back to yourself and others. 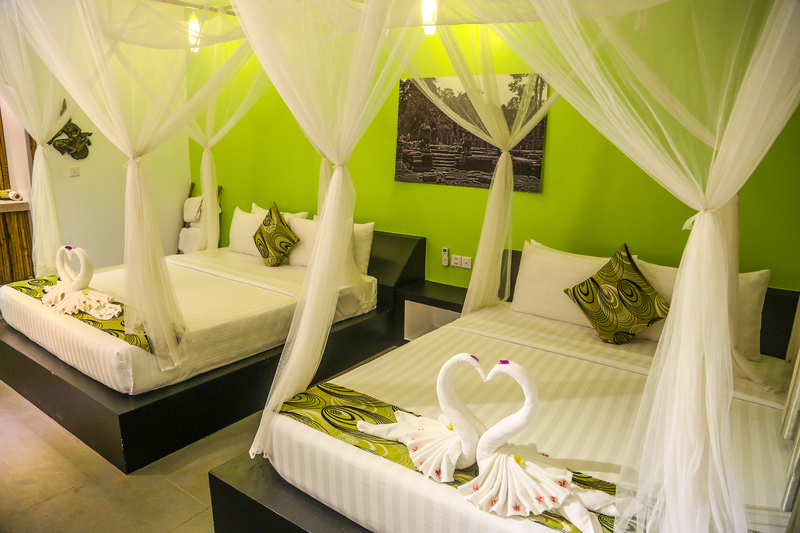 Please note that our “Couple’s Package” is for couples / friends / family only. We do not allow strangers to share a room. This package must be booked by two people traveling together and booking the package at the same time. You are responsible for booking and paying for your own accommodations and traveling to our school each morning. 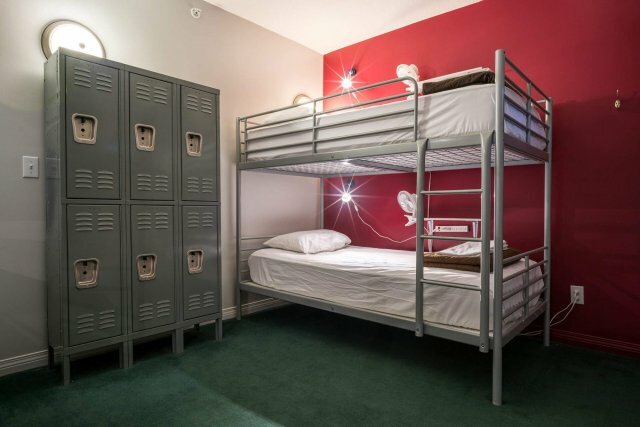 Great for those traveling on a budget who wish to find their own room/hostel . You are responsible for your own accommodation choice, as well as traveling back and forth to our school each day. 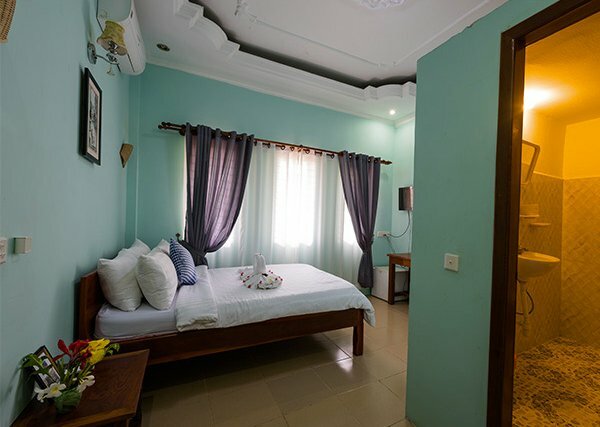 50 meters from our school, a small family run Cambodian guest house with all the amenities you need. Directly next to our school, a unique award winning non-profit hotel operated by a Canadian NGO. 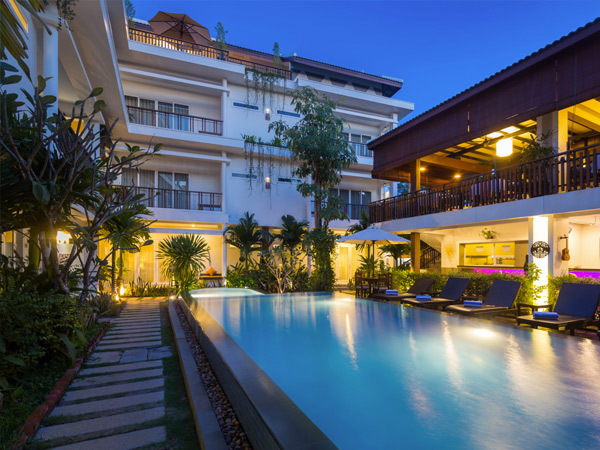 Directly accross from our school, Advaya residence is a top rated hotel offering upscale accommodations. 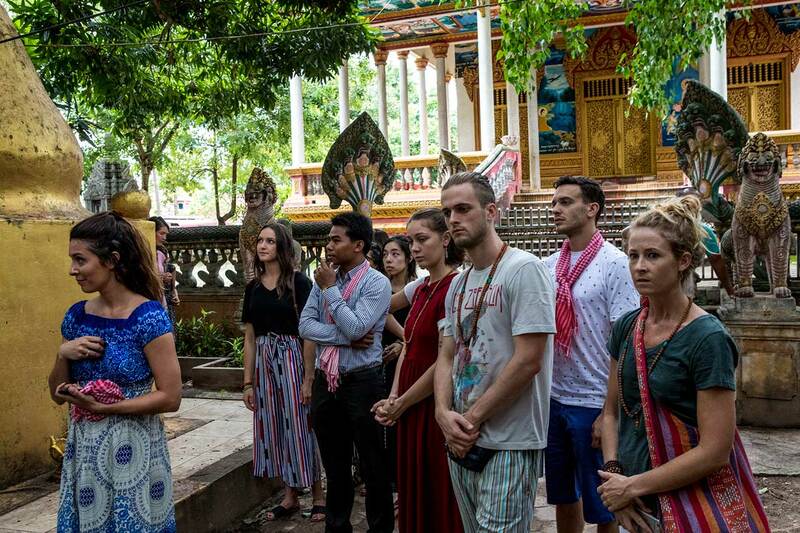 The Magical Kingdom of Cambodia is one of the most spiritual destinations in the world. 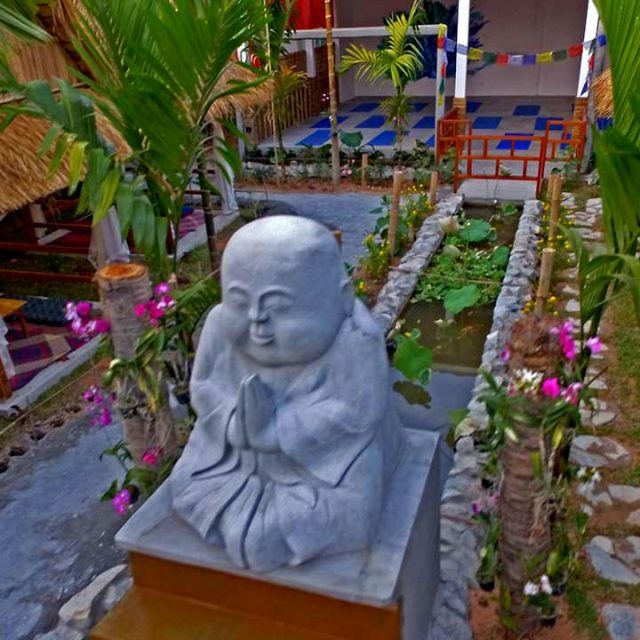 Quickly it is becoming the new hub for Yoga retreats and TTCs in South East Asia. 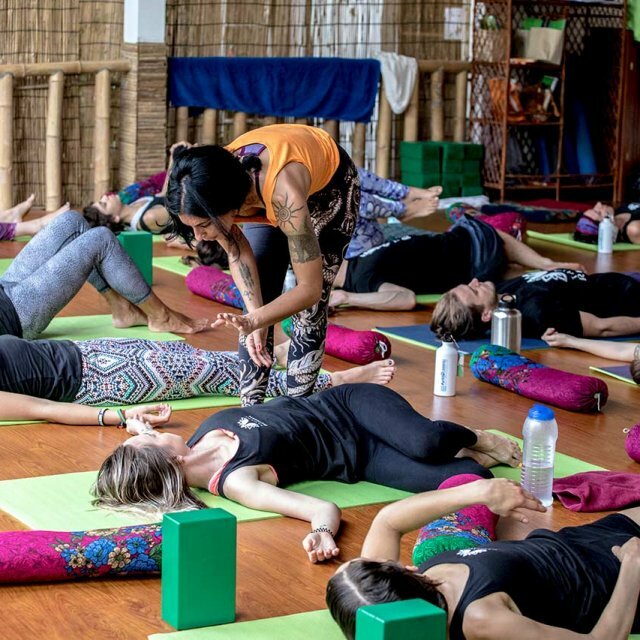 This is a once in a lifetime opportunity to study under one of the most respected Yoga Masters and receive your 200hour Yoga Alliance License. Are you a Registered School? Do you offer shared accommodations? 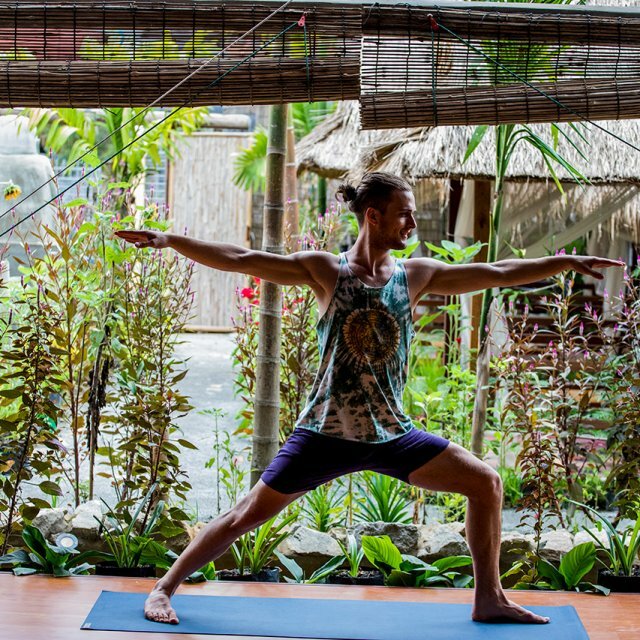 What type of Yoga is taught? 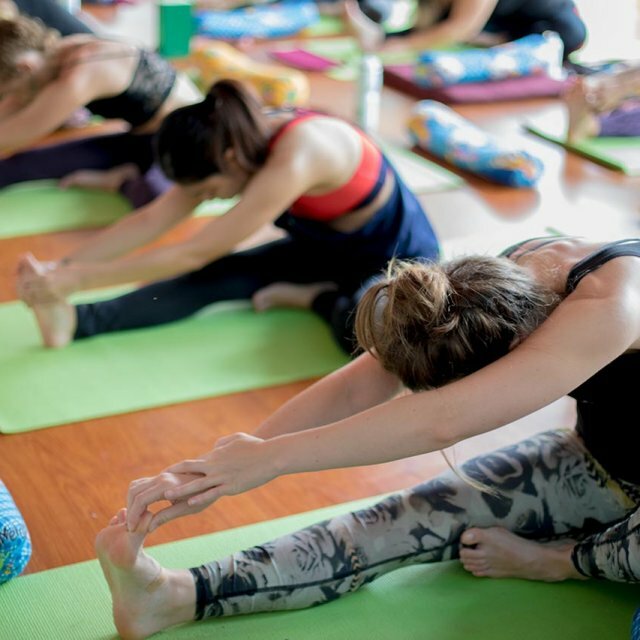 Do you have to be proficient in Yoga to attend? What is included in the YTTC Program? What language is the course in? How many students per course? What age range are the students? What parts of the world do students come from? Where does my money go to? Yes. 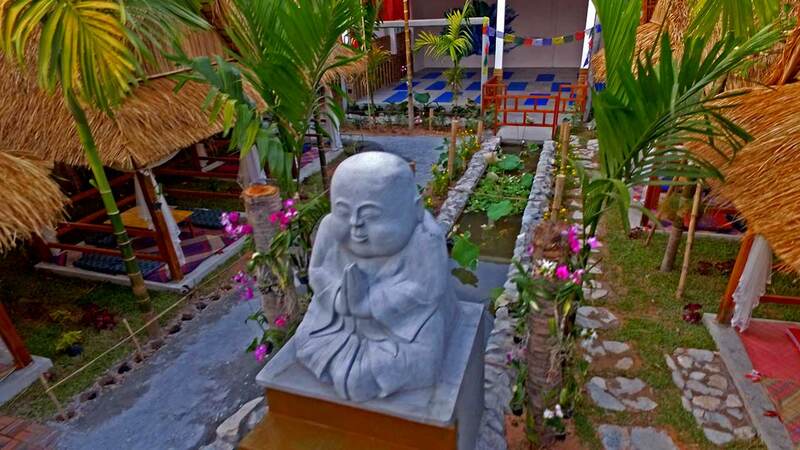 We are the first & ONLY fully licensed and insured school in Cambodia. 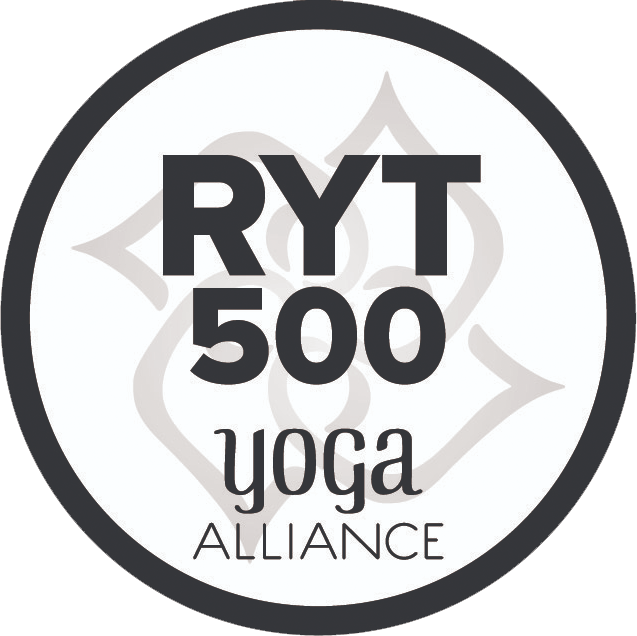 We are licensed under the Yoga Alliance as an RYS200. We only allow couples, friends and family members to share a room. As this course is intensive, it is not a good idea to share with a stranger. End of the day everyone needs their privacy and comfort. We have negotiated very good rates with our accommodation partners to make sure that you get a private room, at a low rate. There are two taxes which will be added to your invoice. 10% VAT and 2% city tax. These are mandatory taxes which have to be paid by all guests. 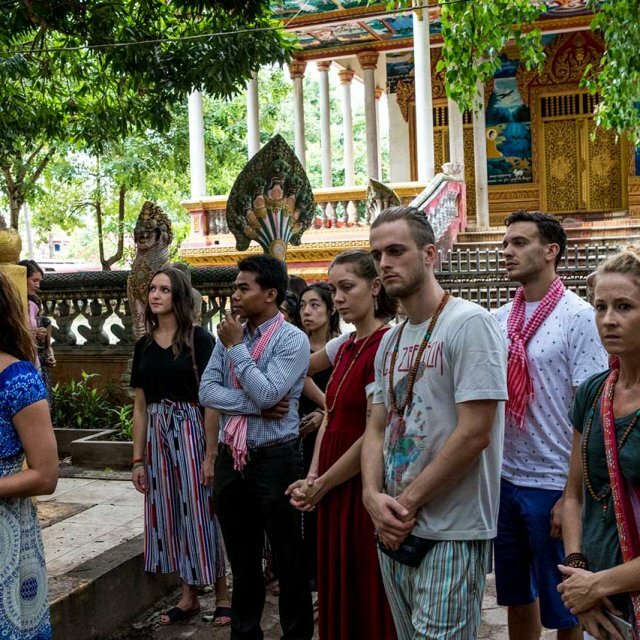 However, if you pay for the course in full prior to arriving in Cambodia you can avoid these taxes. This option is available upon registration. 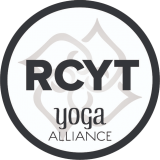 Our 200 Hour Yoga Alliance programs focus on Hatha Yoga. 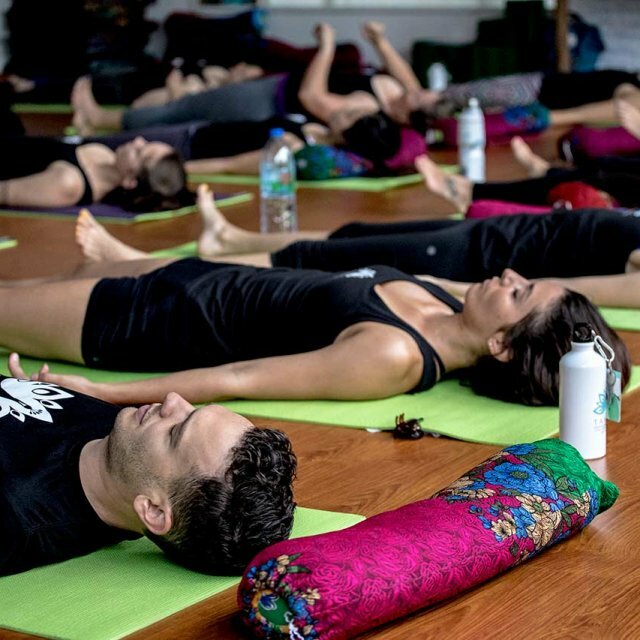 However, each instructor has their own background and experience in other areas/types of yoga that they might share with you such as Ashtanga Yoga, Restorative Yoga, Rega Therapy, Yin Yoga, Yoga Nidra, Yoga Meditation and more. 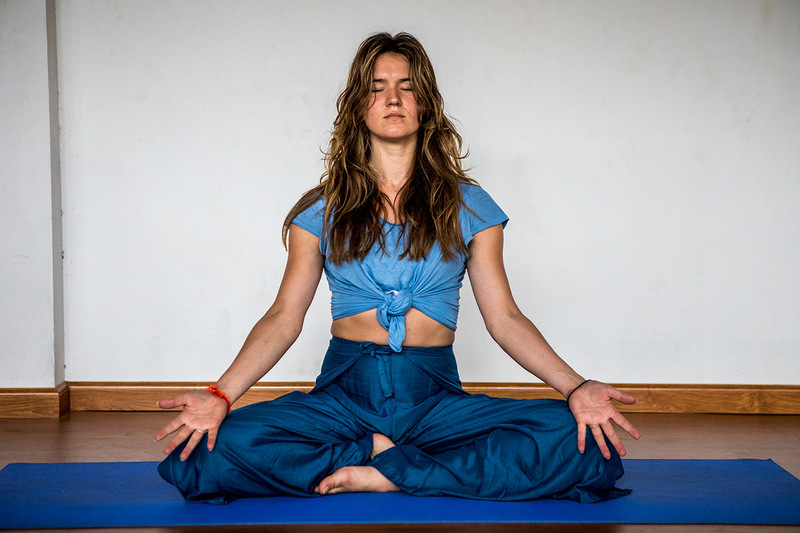 The 200 HR Yoga Therapy Course is a Hatha Yoga Program with incline towards Yoga Therapy. 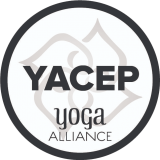 Yoga Alliance is an international organization for Yoga Teachers which designates and regulates standards for Yoga Teachers and Yoga Schools. 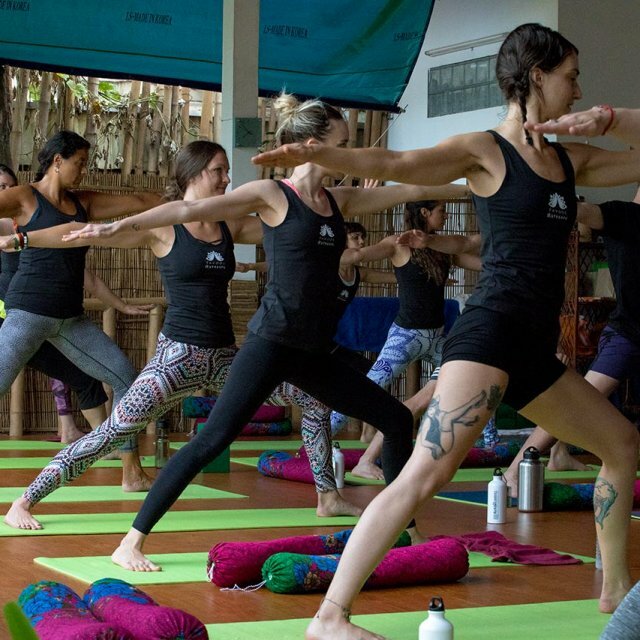 You don’t have to be proficient in yoga to attend a 200 HR Yoga Teachers Training program, however some yoga experience and previous practice is beneficial. The things we require from you is passion, dedication and determination to learn! 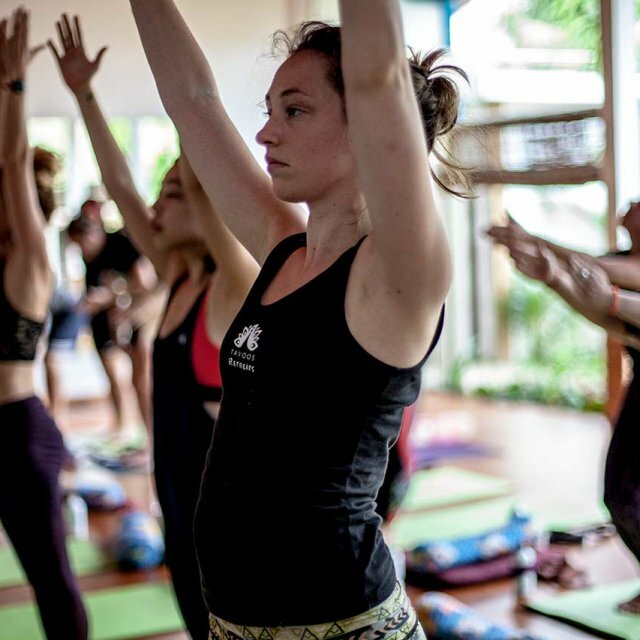 When attending the Yoga Teachers Training Program you will receive a complimentary airport pick up, three meals per day, access to filtered water, a training manual, welcome kit, yoga mat, group photo, course certificate upon successful completion, a graduation ceremony/event. 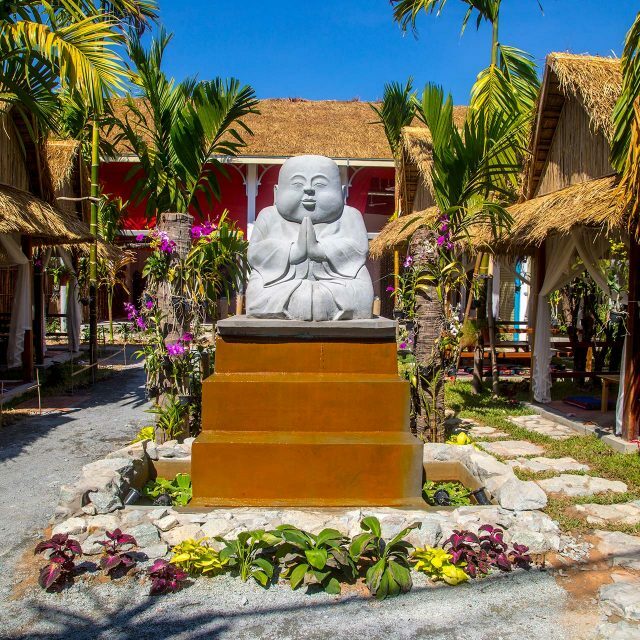 What is not included in the Teachers Training Program is the $5 for airport drop off, any additional meals/beverages at the hotel (can purchase if you wish), Payment Taxes such as VAT and City Tax, Additional charge when paying with credit card. 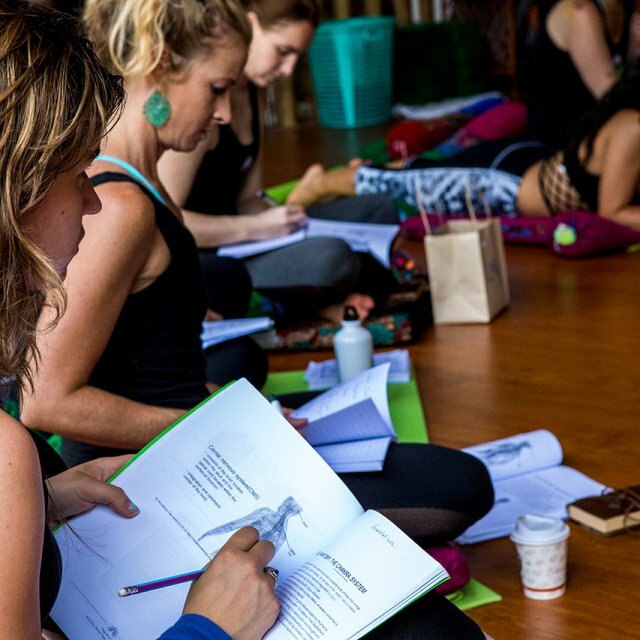 All our Yoga Teachers Trainings are taught in English. However, our teachers are international from they might speak other languages as well, but the prime language in which the courses are is English. The typical amount of students in each course varies between 15-20. Our students age range has been typically anywhere from 18 to 65 years old. Our students come from all over the world. In the past, we had students come from U.S.A, Australia, Canada, Ireland, England, New Zealand, Netherlands, Africa, Hong Kong, Vietnam and more. Since the programs we offer are intensive, the trainings usually take all day and start as early as 7:00 a.m. The trainings can end as late as 9:00 p.m. However you will have 1 or 2 days off in between and have breaks in between classes. Detailed daily schedule will be made available to you after registration. If for any reason you wish to cancel, you will receive 50% of your deposit back up to 60 days prior to the start of the course. We are a non-profit social venture. 100% of our income after expenses goes towards several humanitarian programs, most notably wedigwells.com, providing clean water for families all over Cambodia. Unlike other non-profits, our upper management DO NOT take any salaries. Our organisation is run by several Canadian volunteers who donate their time working on marketing, website and accounting. The only operational expenses we have are: rent, utilities and salaries for our Khmer staff. 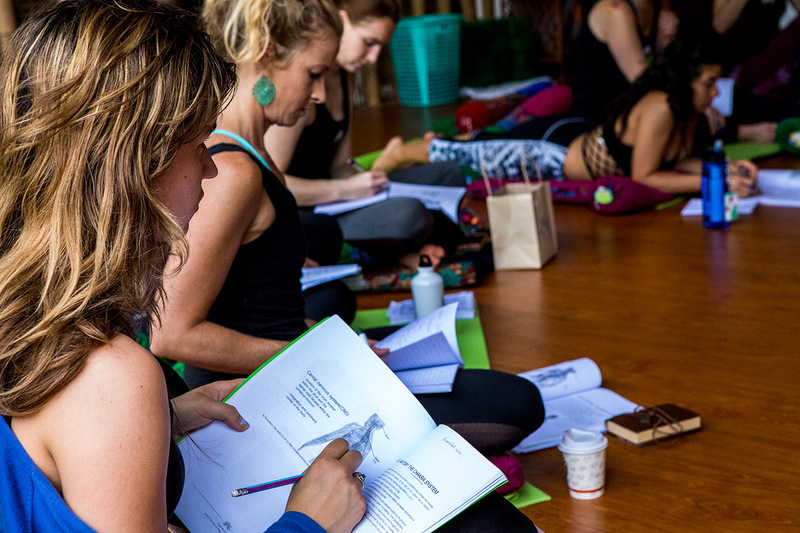 This training has small class sizes of 15-20 people maximum to ensure a deeply personal experience. 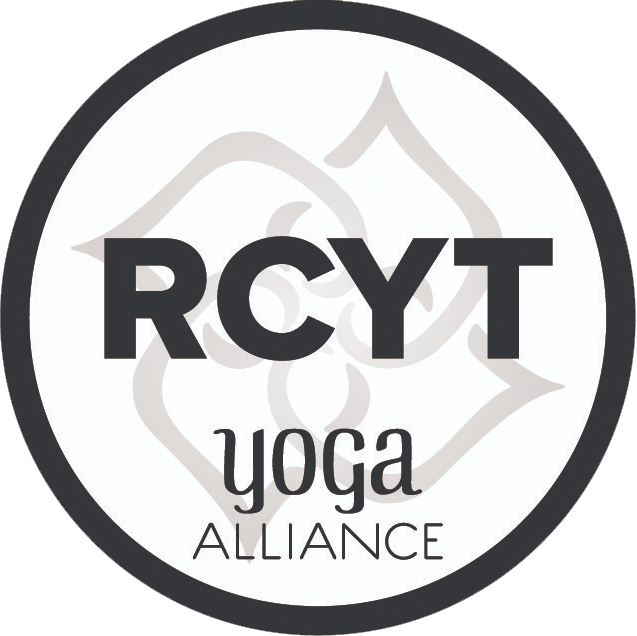 It will be a great mix of yoga styles with a focus on Hatha and Vinyasa to teach unification, strong foundations, good alignment as well as moving through posture and breathing. 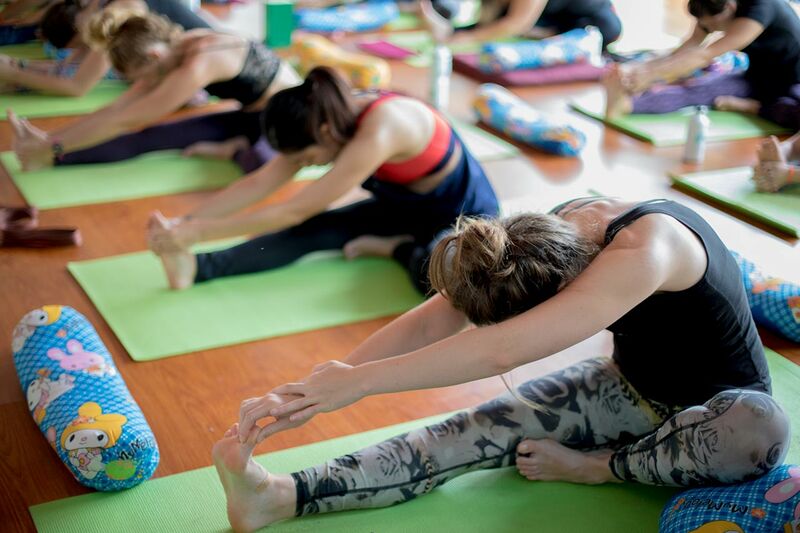 Upon completion of this program, you will be a certified yoga instructor. 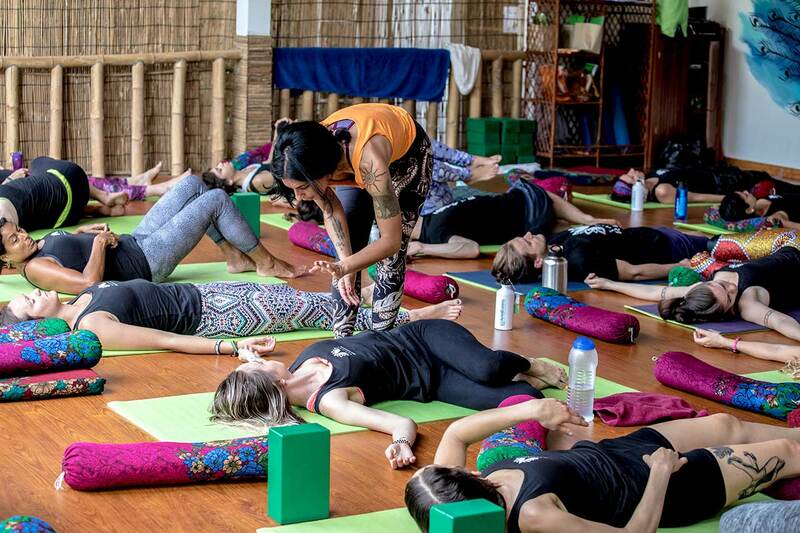 Our methods of teaching are interactive, focusing on a fully immersive yoga experience, teaching, and group dynamics. 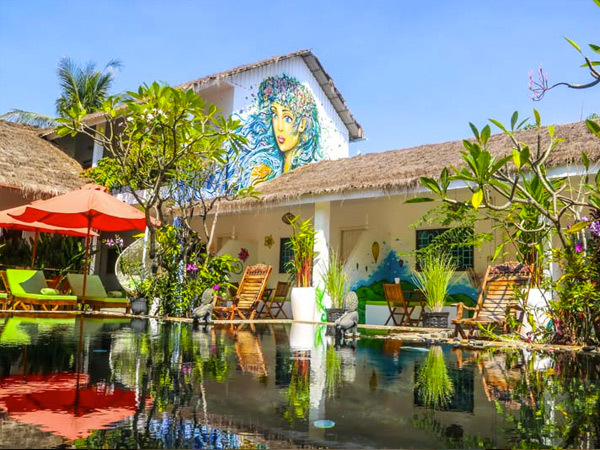 This course includes methods of reflective self-analysis as well as a proper diet, all in a lovely, private eco friendly resort. 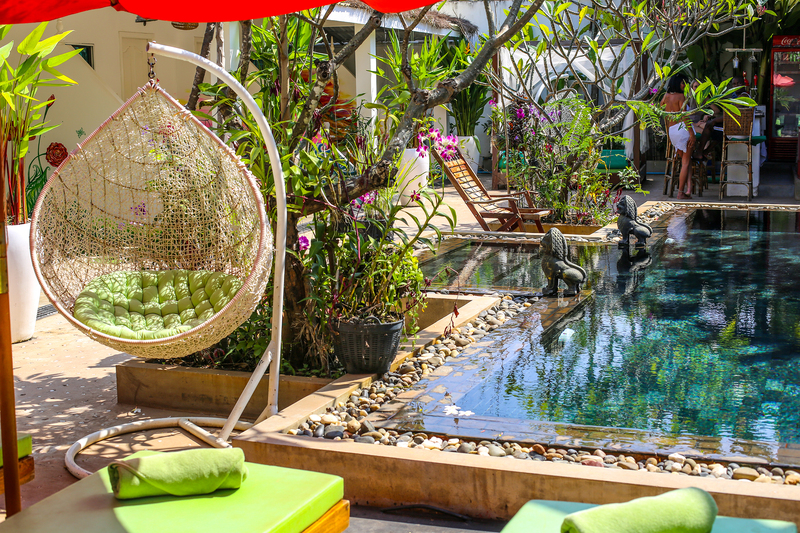 This will allow you to enjoy and evolve in the perfect environment for your study. 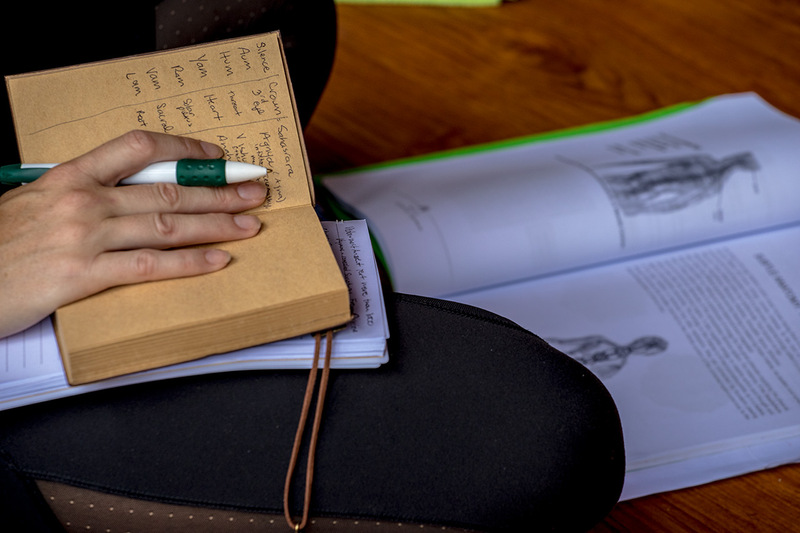 Whether you are just starting your journey or if you are a student who is already teaching and wants to deepen your knowledge, this course is perfect. Tavoos prides themselves on teaching strong foundations. 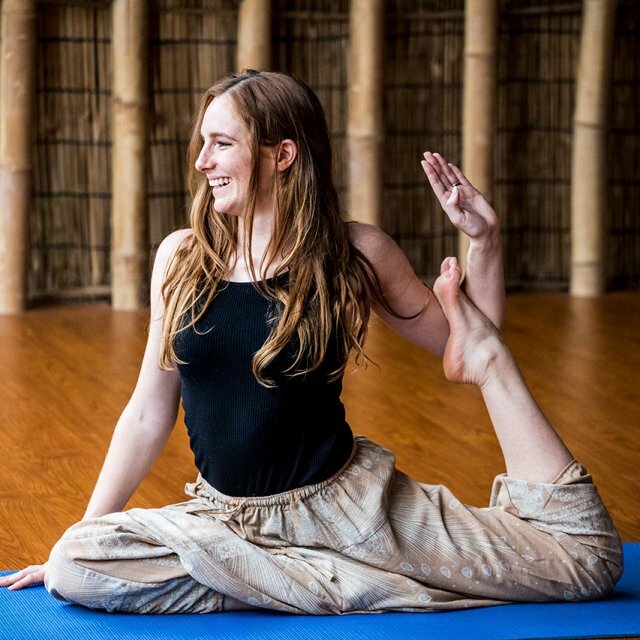 All of our instructors have years of experience leading teacher training courses and are licensed under the Yoga Alliance and the International Circle of Authentic Yoga Teachers. 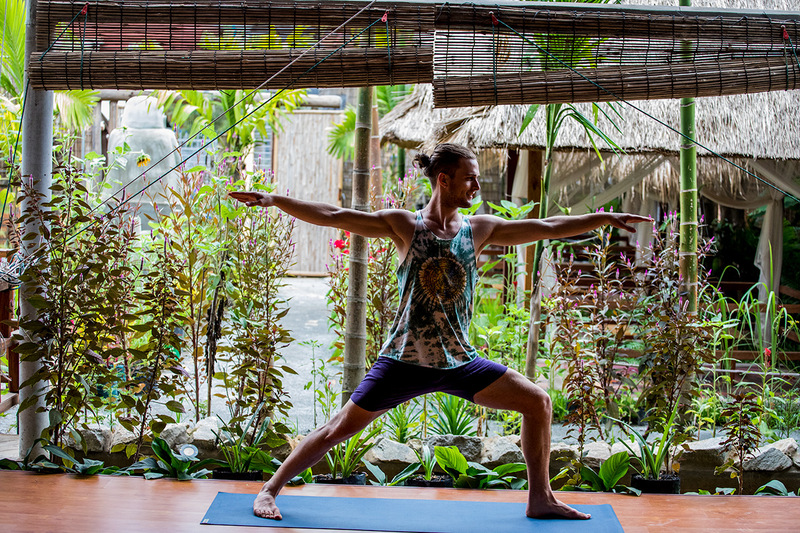 Madhav is an Indian yoga teacher who is born and raised in a traditional way. 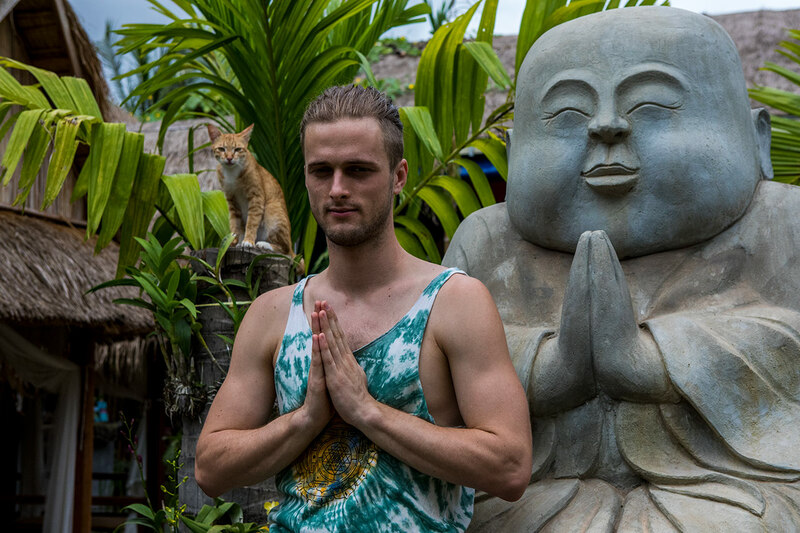 The yogic traditions that go to back to the ancient times are something he learned throughout childhood as part of his heritage. 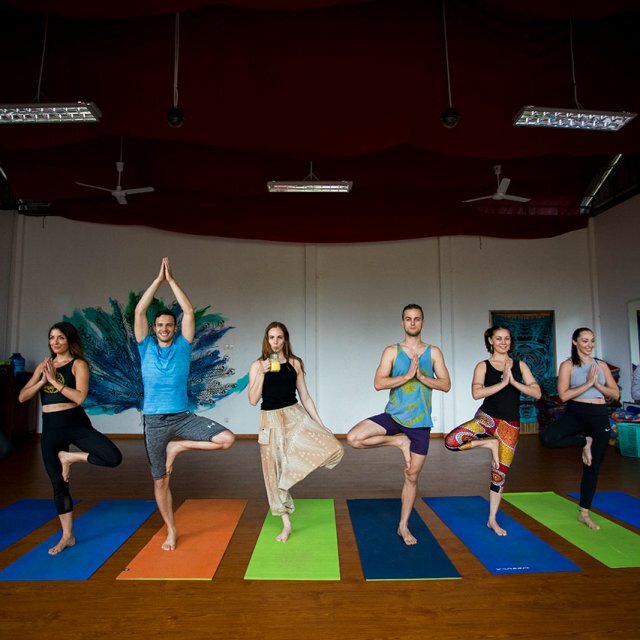 He has vast education and experience in fields related to yoga such as Philosophy, Sanskrit, Hindi, Yoga Therapy, Ayurveda, Pranic Healing, Reflexology and a Masters Degree in Yoga and Meditation. 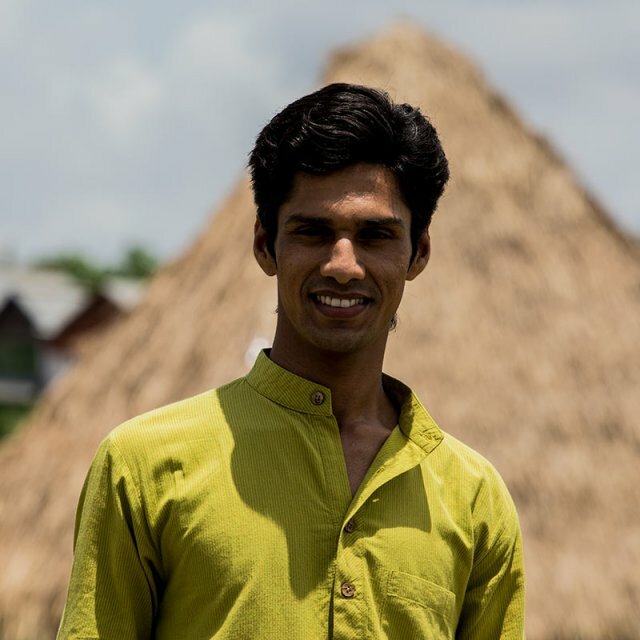 Madhav has traveled and worked with students all over the world and is especially known for his Teacher Training role as a lead teacher in Yoga Ashram, India. 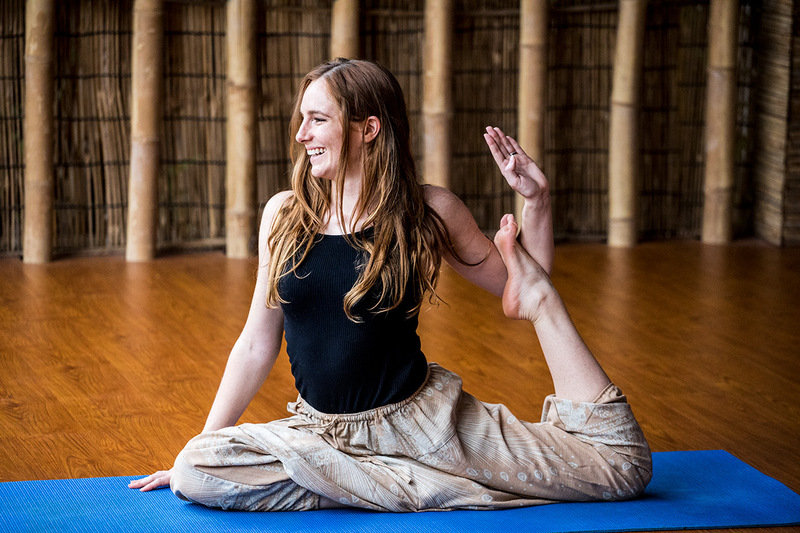 In his teachings, he deeply focuses on passing the ancient truth and traditions of yoga while maintaining a modern approach by guiding students by developing self discipline in areas such as spirituality, mental strength, physical movement and awareness. 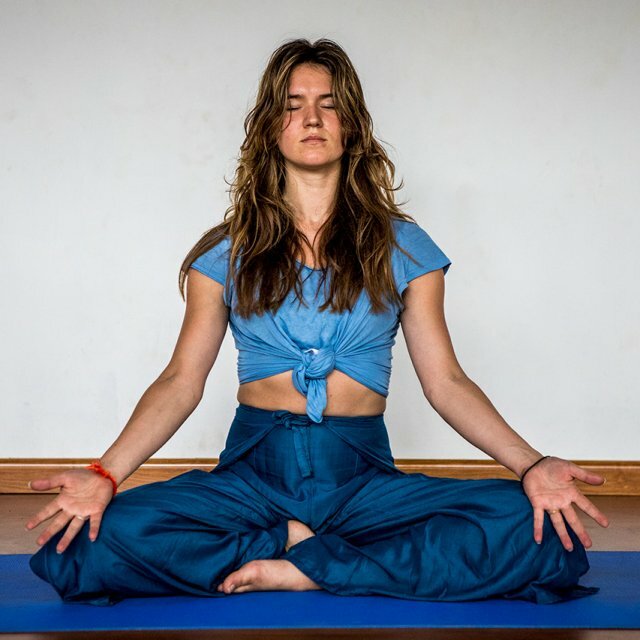 Laurie ‘ Lady Yoga’ Searle is a Certified Yoga Therapist (IAYT), has been teaching yoga, fitness training (NASM), massage therapist and ayurvedic lifestyle coach for almost two decades, leads teacher trainings nationally & internationally through her school, Firefly Yoga & Massage & is the founder of F.E.D. 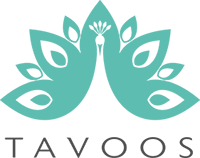 Fight Eating Disorders,a 501(c)(3) non-profit, offering assistance for those suffering from eating disorders (fighteatingdisorders.org). 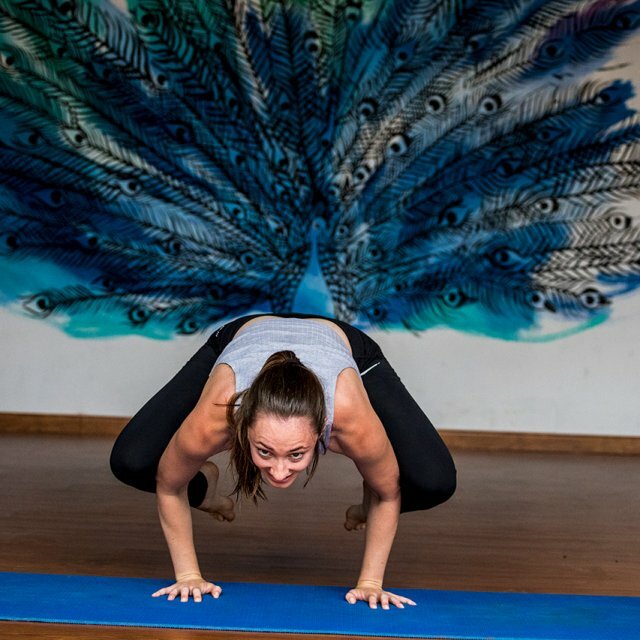 Based in Santa Monica, CA, she is a journalist, actor and creator/writer of the comic strip and animations of Lady Yoga, Superhero (LadyYogaSuperhero.com) and the host of ‘Yoga Quickies’ on YouTube (youtube.com/yogaandfitnesstogo). I did my 200 hour YTT at Tavoos and I’ve got to say, the staff and instructor made it such a unique and enjoyable experience. The group size was small and allowed ample one on one time with the instructor Laurie Searle. 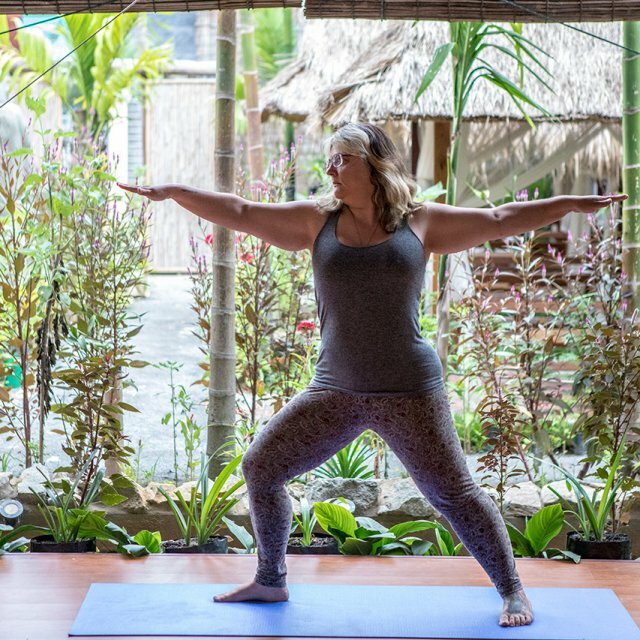 She really knows her stuff when it comes to teaching yoga, as she’s been at it for about 20 years. Tavoos is also a nonprofit and helps the community in Siem Reap. They give free yoga to everyone! It’s pretty incredible and you should definitely support Tavoos and take your training here. On another note, stay at the green leaf hotel next door. The staff is so kind and thoughtful. It really get like home by the time we had to leave after 3 weeks. 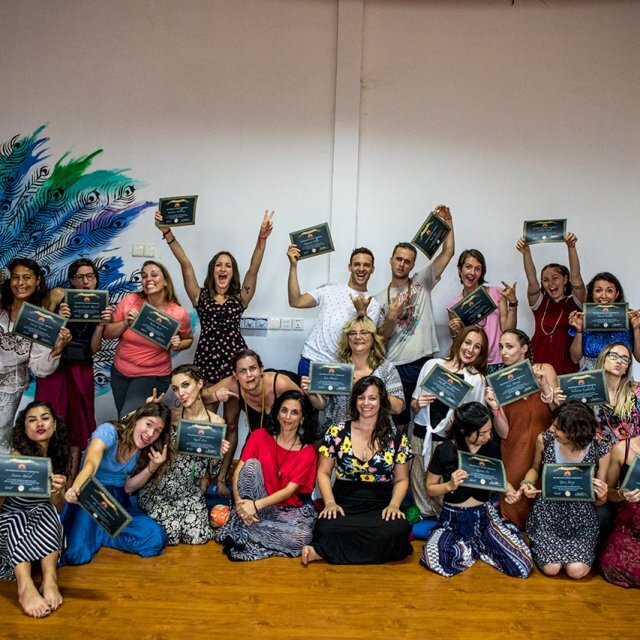 I did my 200 hour teacher yoga training at tavoos in January 2019. I must say: that was the best choice of the new year 🙂 I had such an amazing time. I was very blessed with my fellow students and the amazing teacher Lauri Searle. 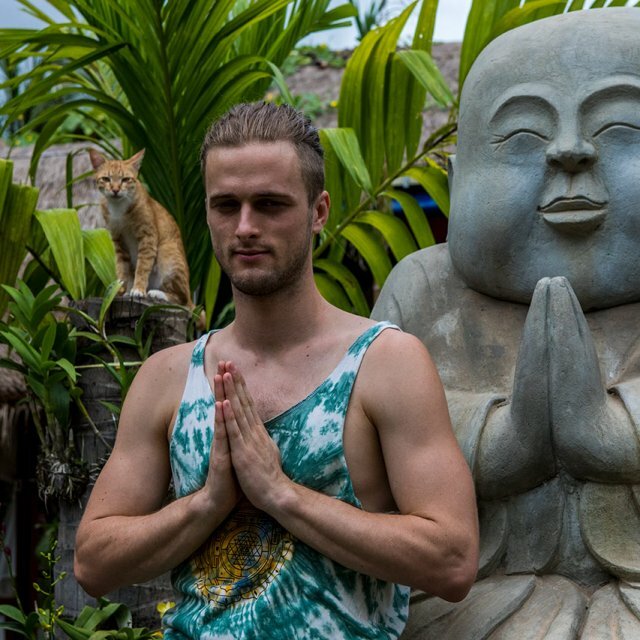 I learned so much about Yoga and it gave me a new perspective of my own practise. It has become part of my daily life now instead of a weekly visit to a class. The place is so peaceful. The staff is amazing and always there to help out with any of your questions. The food is amazing! 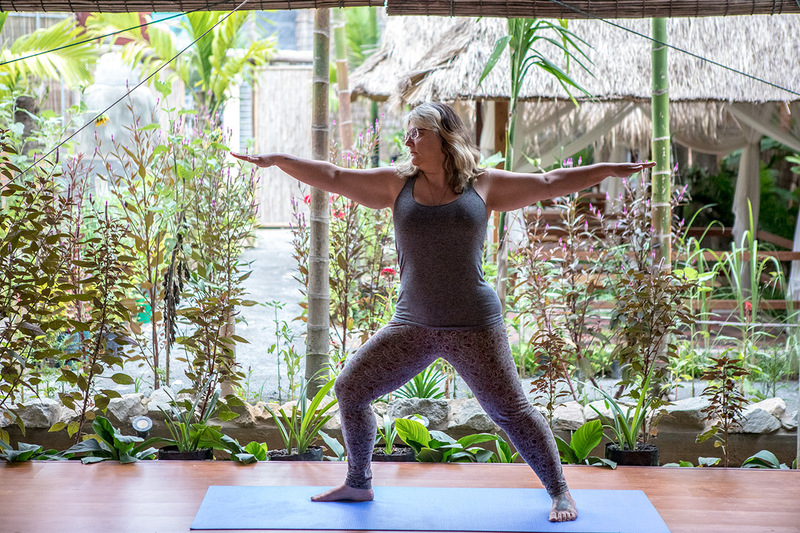 I thought I would lose some weight doing non stop yoga for three weeks, but the food was just too good! (and so much!). The best and healthiest (vegan) food I’ve eaten in SE Asia. 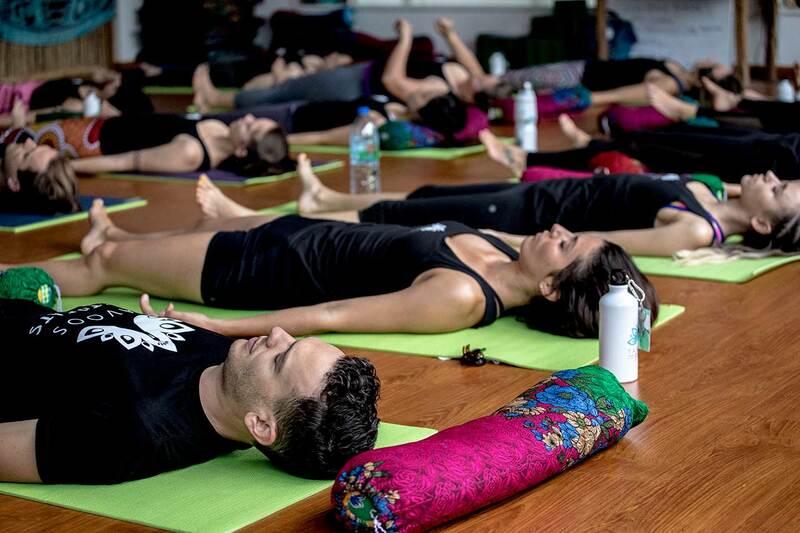 I thoroughly enjoyed the 200 hour yoga training at Tavoos. Laurie Searle was an incredible teacher who truly cared about her students thriving and getting the most out of the experience. 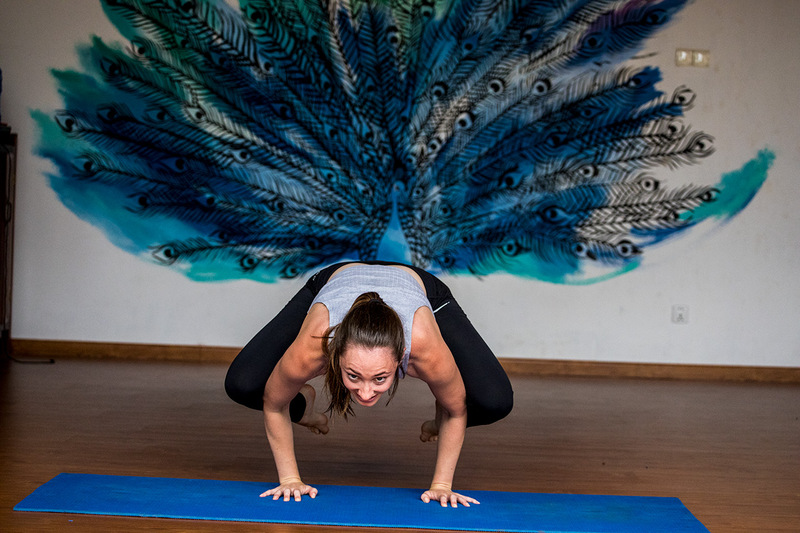 She has over 20 years in yoga experience and it definitely showed! She was very open to feedback and had fun spontaneously coming up with classes based on students’ requests. I loved that the group was small, allowing for more one-on-one time resulting in a deeper practice and more rapid self improvements. Because of her and the tools she has provided, I feel confident to go out and teach right away! 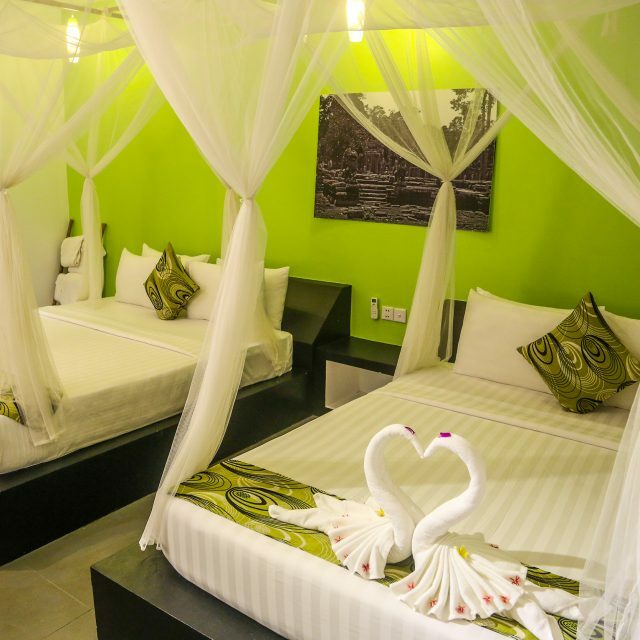 On a side note, make sure to stay at Green Leaf Resort! Mr Lin and the entire staff are absolutely delightful! They will do whatever it takes to make sure you’re happy and comfortable. Every single meal for the past 3 weeks was a variety of healthy deliciousness. 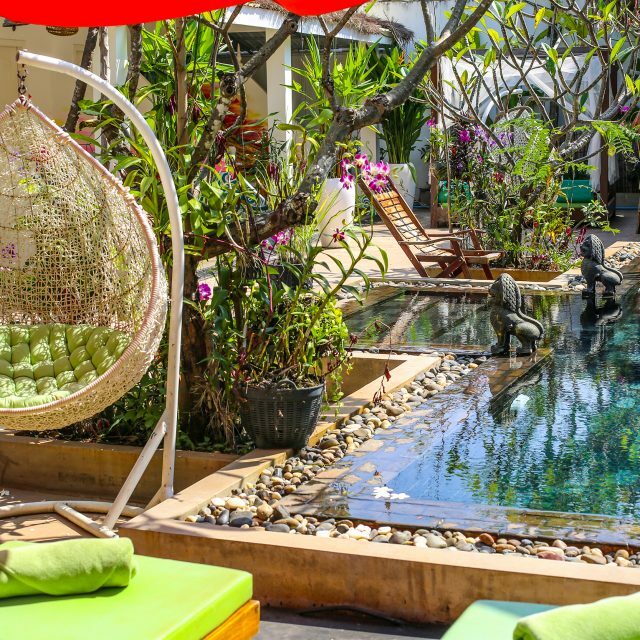 The pool and garden is a lovely place to relax in after a long day of yoga as well. Thank you to everyone who made the past 3 weeks a wonderful experience! 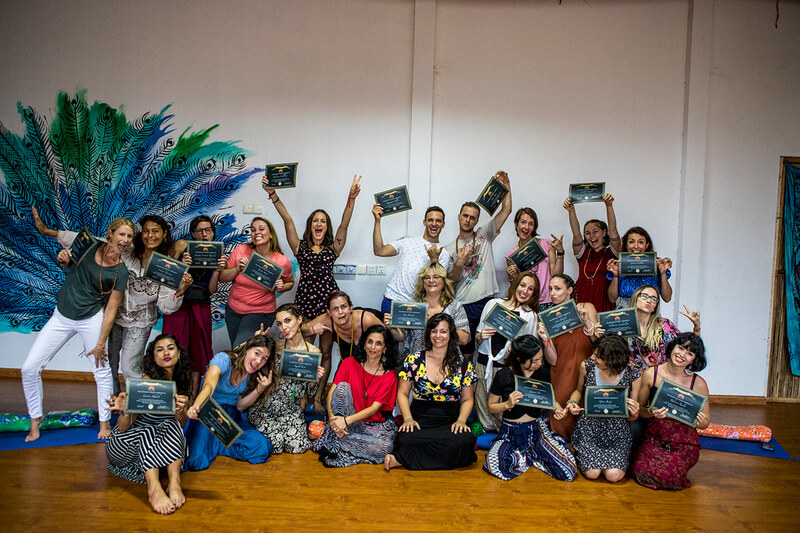 I spent 22 days doing my yoga teacher training with a bunch of amazing people and remarkable teacher Laurie Searle @ladyyogasuperhero. I must say that the whole staff of Tavoos was super sweet, they were making sure we were ok throughout the whole course and I could not be happier! And the food…. SO GOOD! The location is perfect, outside of the centre but still super close if you want to hit the markets or restaurant in the evening by walking. The vibes are great, I felt relaxed and well taken care of. I am definitely coming back someday! Thank you Tavoos staff! Tavoos is a beautiful location and I am SO GLAD I did my certification here. The food (prepared at Green Leaf Botique Hotel nextdoor) is amazing and the venue is beautiful. The staff goes above and beyond, especially Mr. Lin who personally accompanied me to a doctor visit. I felt very safe and welcome here, I would recommend this location to anyone considering 200HR YTTC. everything – the course was properly planned, food was amazing, teachers very knowledgeable and the staff was very friendly and helpful. The people I met from all over the world and the highly knowledgeable instructors, made this the best experience of my life. Tavoos food and sweet and caring people topped it off. More importantly, this is a nonprofit organization that helps build wells for local communities. I will treasure this experience and and am so thankful I was a part of this. It has changed my life. From my first encounter with the Tavoos team over email I felt comfortable. Communication was very fast and they went above and beyond to answer all my questions and help me get set up for the course. 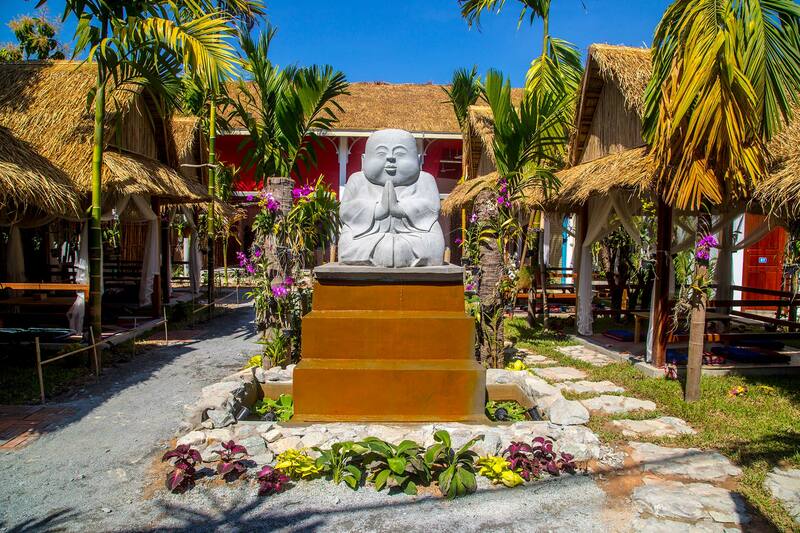 Accommodations were comfortable, staff was friendly and the food was amazing (even accommodated my Vegan needs). We learned a lot in this course. It was intensive with long days but overall I gained a lot of knowledge and confidence to start teaching. Highly recommend this. Great price too! Both instructors were incredible instructors who helped me achieve my personal best. 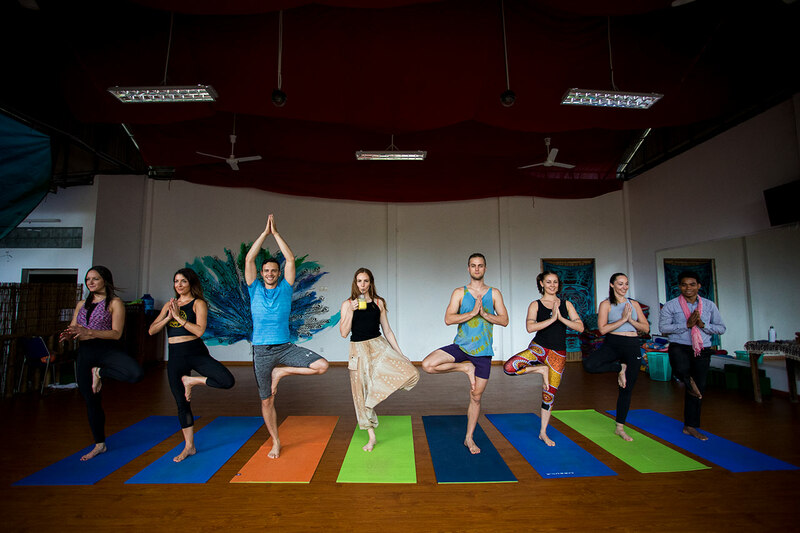 Their diverse training backgrounds and knowledge in Yoga enables a well rounded and balanced teaching style that gives students a wholesome foundation in which to build their own personal practice and yoga career. 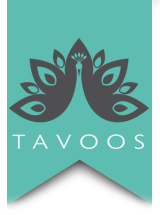 The staff at Tavoos are excellent, catering to every personal need and dietary requirement possible. 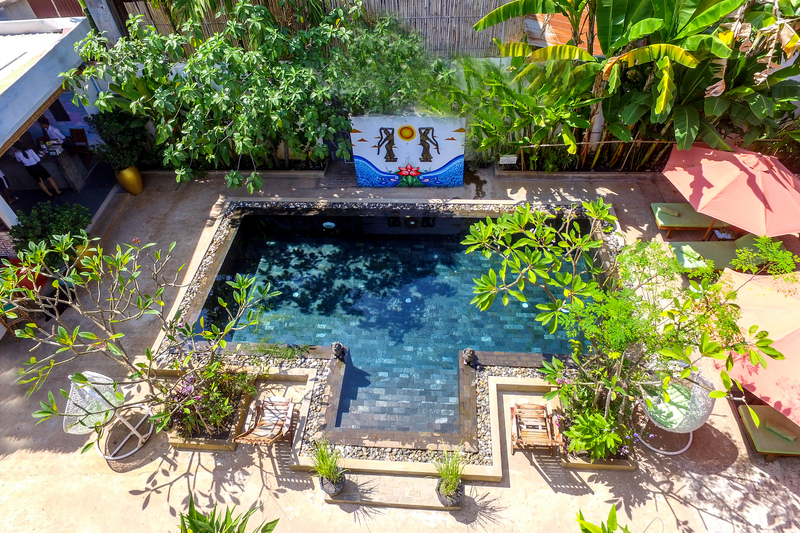 The facilities and accomodation are exceptional. Another great reason to choose Tavoos is because it is a not for profit institution who supports various local Cambodian causes. This made me feel great about spending my money here. I could not highly recommend Tavoos enough! 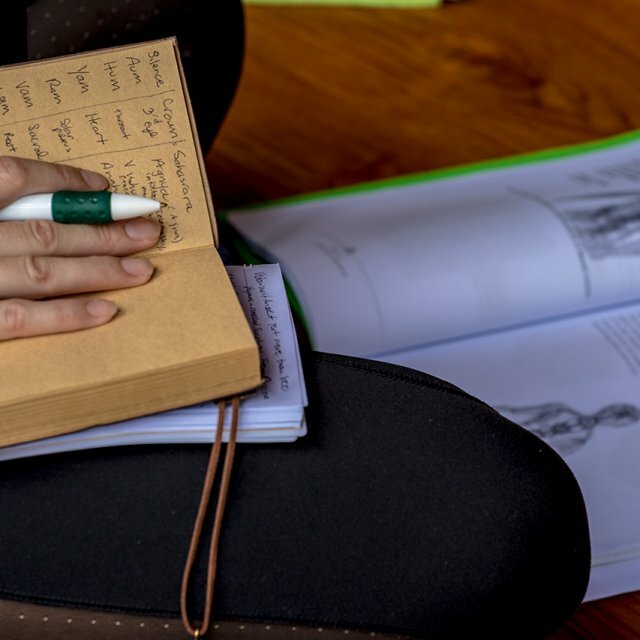 Teacher training and accommodation. Very good teachers and good quality in training. Good food and top service. Lovely group members. And Cambodia rocks. Please note that spots are limited. Flights or other form of transportation to Siem Reap is not included. Visa, taxes and gratuity are not included in the price. If you wish to arrive a few days early or stay additional days, you will be entitled to a discounted rate off the regular hotel room rates (not including the self accommodation package). Tours and other excursions are available during your free time or before and after the course. Additional fees apply to any tours, excursions or any meals outside of the program meals. 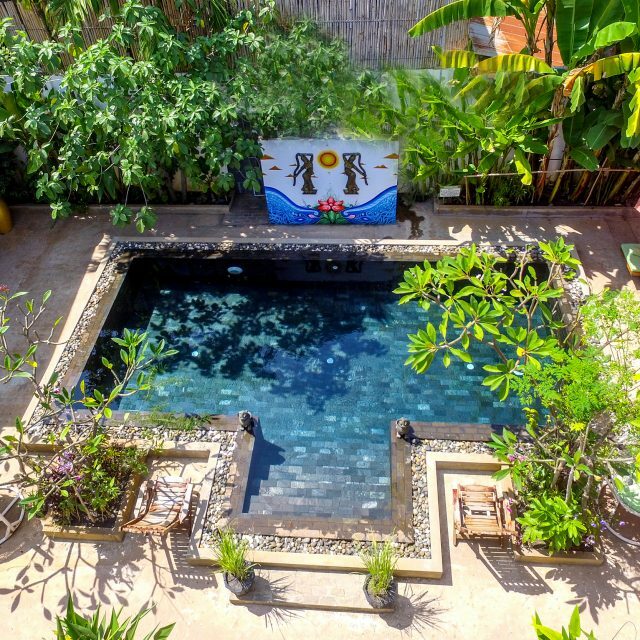 © 2019 Tavoos Garden & Non-Profit Wellness Center. All Rights Reserved.